Foster care students will have the opportunity to get a head start on their futures at the Jump Shot Your Future resource fair. 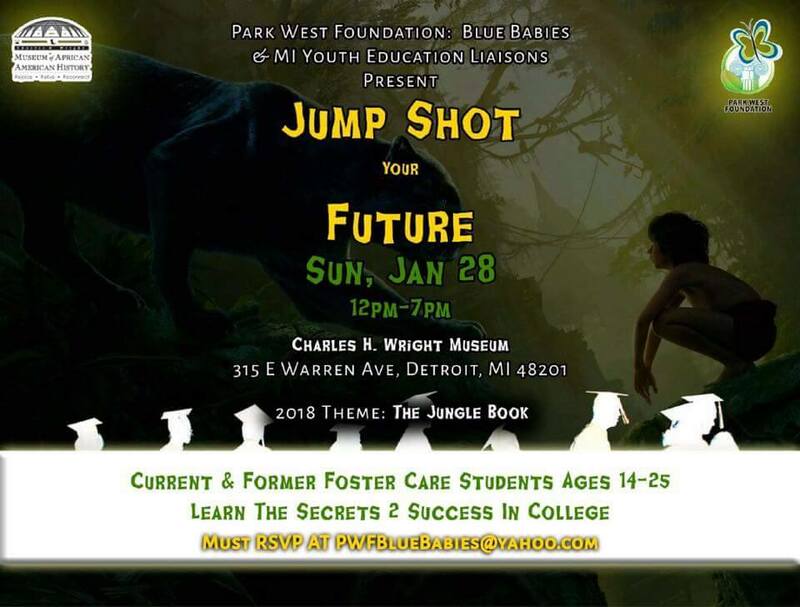 The Park West Foundation is supporting the 5th Annual Jump Shot Your Future college and resource fair on January 28 at the Charles H. Wright Museum of African-American History in Detroit. Park West Foundation Program Director Saba Gebrai discussed the annual event on the January 4 episode of popular author Mitch Albom’s weekday radio show. 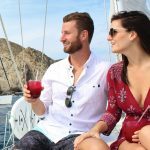 The radio segment is available below. “Jump Shot Your Future is a youth-led and guided project that is helping to bridge the educational gap for foster youth aging out, where youth leaders formerly in foster care develop the event concept into a meaningful experience that allows the provided information to connect with their peers more effectively,” Gebrai says. Jump Shot Your Future is an annual event held by the Park West Foundation along with Michigan Youth Education liaisons. The college and resource fair is open to current and former foster care students ages 14 to 25 . “It’s beyond jobs, it’s also life skills and college, and scholarship opportunities,” Gebrai says. Other foster care education initiatives the Park West Foundation supports include the Fostering Futures scholarship, which provides funding for tuition, fees, room/board, books, and supplies to foster care students. 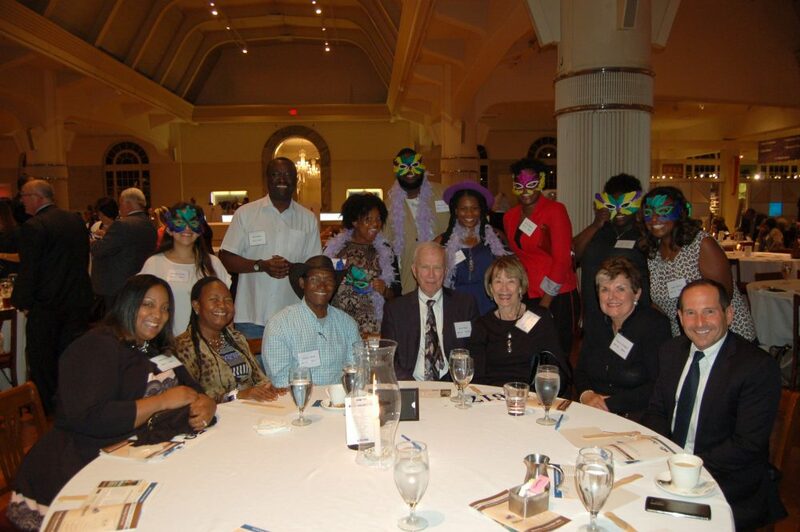 Foster youth with philanthropists Charles and Esther Mully (seated second and third on left) at the 2017 Fostering Futures benefit dinner. The statistics emphasize why efforts like Jump Shot Your Future are critical. In 2015, more than 20,000 youths aged out of the foster system in the United States. Research shows those who age out without a permanent family more frequently experience unemployment, homelessness, and incarceration. For more information about Jump Shot Your Future, visit the Park West Foundation website or the Park West Foundation Blue Babies Facebook page. 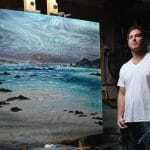 Park West Gallery Founder and CEO Albert Scaglione along with his wife, Mitsie, established the Park West Foundation in 2006. The foundation supports youth aging out of foster care in Southeastern Michigan, and has expanded its initiatives to support and promote art education and environmental conservation.